Synergy Medical Aesthetics can help you achieve your aesthetic goals with a wide range of plastic surgery and dermatology services. 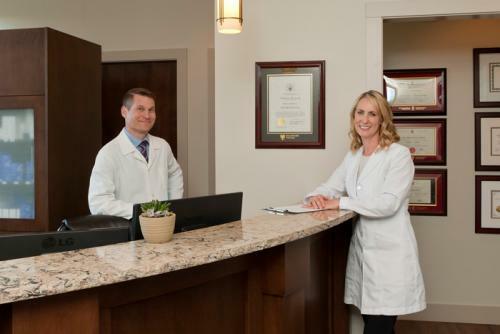 Our board-certified plastic surgeon Dr. Philip Barnsley and extensively-trained dermatologist Dr. Gabriele Weichert are committed to providing premium, effective aesthetic care with specialist knowledge and experience. We understand what a deeply personal decision plastic surgery and aesthetic treatments can be. At Synergy Medical Aesthetics, you will be treated with integrity, honesty, courtesy and respect. Don’t postpone the positive self-image you deserve another day. To schedule your personal and confidential consultation with one of our distinguished doctors, please call 250-591-1566 or complete the form on this page. We serve patients throughout Central Vancouver Island, including Nanaimo and neighboring communities.